Step into Zazen Restaurant, and you will be greeted by a charming sight. Dazzling chandeliers, tables draped with pristine white tablecloths, velvety drapes and wooden fixtures adorn the interiors, while ornate parasols and twinkling fairy lights bedeck the outdoor setting. Soothing jazz tunes playing softly in the background adds to the romantic ambience of the restaurant. Zazen’s menu boasts an array of European dishes, local Thai fare and desserts. 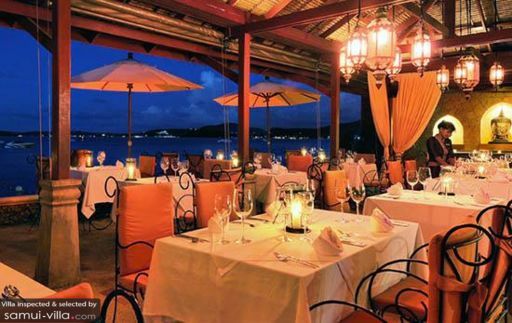 Special mention has also been made about the impeccable service at the restaurant.